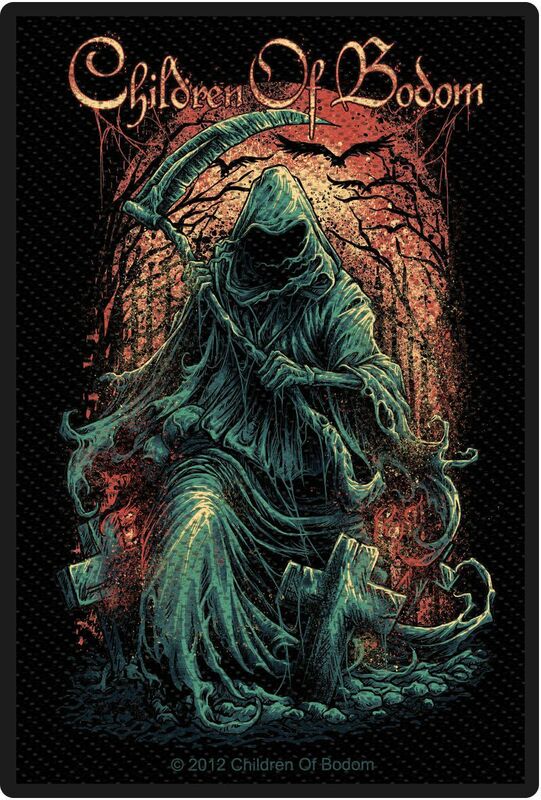 Woven patch of Children Of Bodom with Reaper design. Size about 7 x 10 cm. 100% polyester.